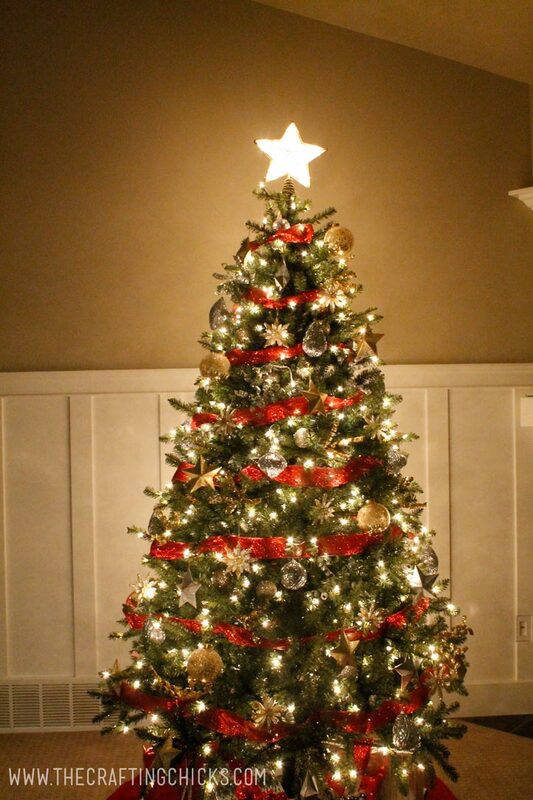 Michael’s supplied the tree and supplies to create a tree of my own choice, however, all opinions stated are my own. When a Christmas tree arrives on your porch from Michaels, you know fun is just around the corner. The fun being the Annual Dream Tree Challenge. This year I was lucky enough to take on the challenge of designing the tree of my dreams. Here’s what it looks like. I wanted to make a tree that had some meaning behind it. In the past our Christmas trees have been a mix of ornaments from my youth and some that my husband and I have purchased over the years. It was fun to start from scratch and find the perfect theme for my tree. I decided on “Star of Christmas,” and wanted to use golds, silvers, stars, and glitter to really make the theme pop. 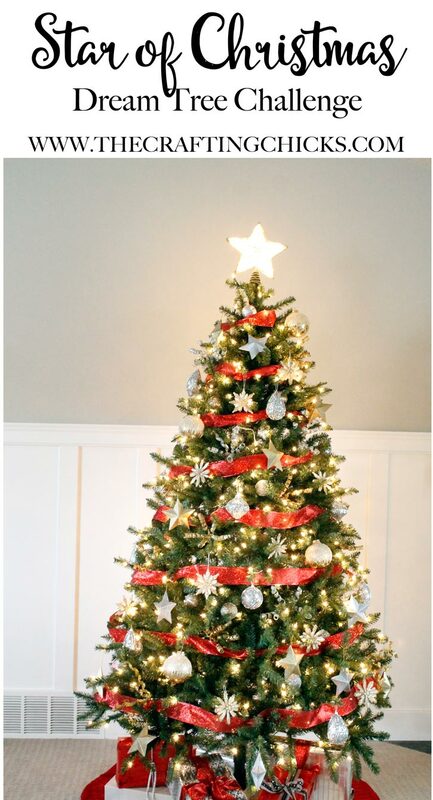 I added a touch of red with the ribbon garland and in the tree skirt. Here’s a closer look at the ornaments. The 3-D stars are paper mache that used Glitter Blast in silver and gold to spray paint. These were so easy and super fun. They may be my favorite ornament, but I think I say that about all of the ornaments. 😉 I was able to find a ton of great options when it came to shiny and glittery silver and gold ornaments. I lucked out with the white and gold stars. I LOVE these ones. 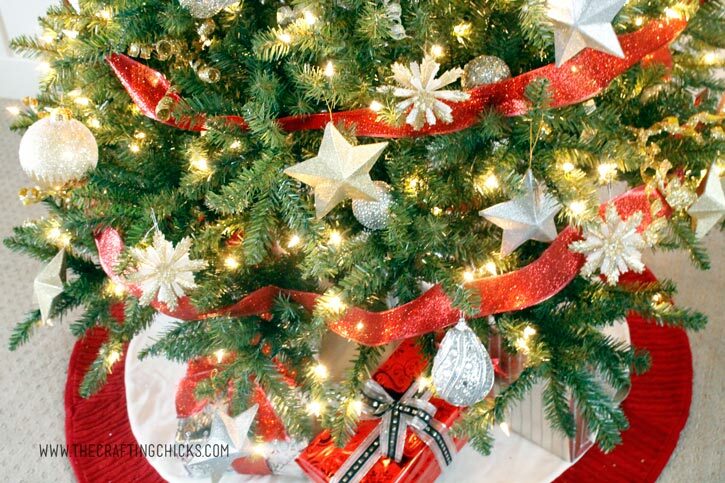 They are so elegant and really add that extra touch to the tree. I truly love how it all came together. I mean, look at how it glows and lights up at night. 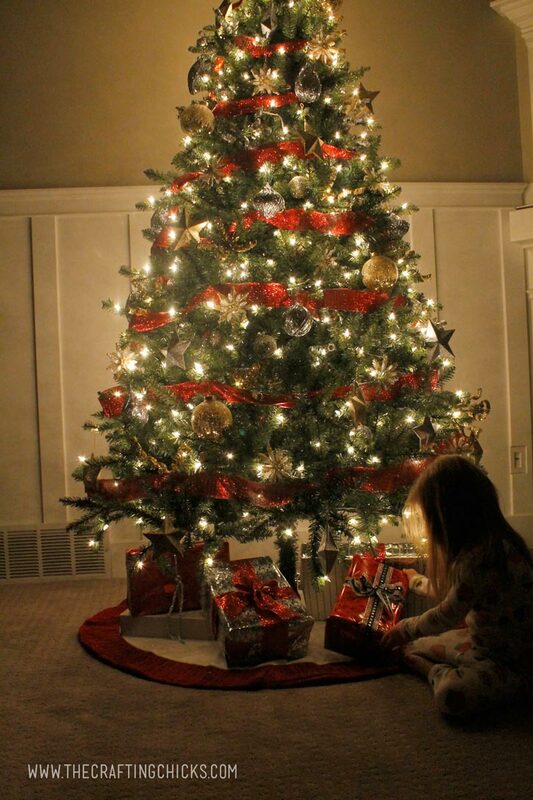 Hopefully I have inspired you to start decorating your own tree. I know it’s still a bit early but you can start by buying some new ornaments. 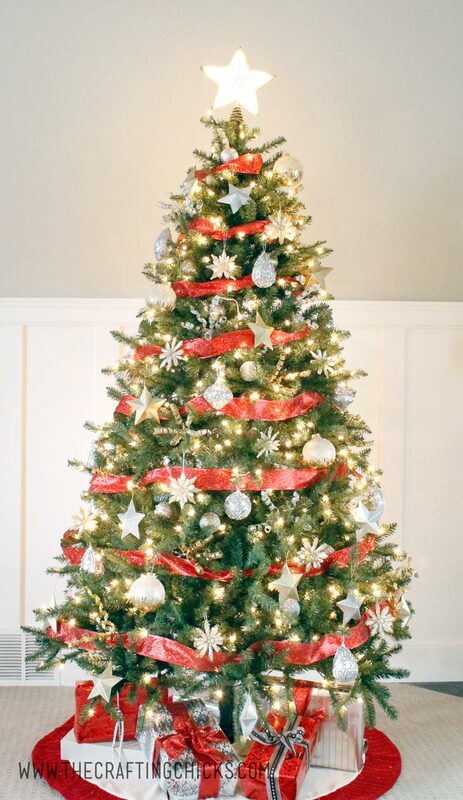 Or if you are in the market for a new tree, from now until November 14, you can get FREE shipping on all Christmas trees that are 6ft or taller on Michaels.com! I was sent the 7.5 foot Hamilton and LOVE it! 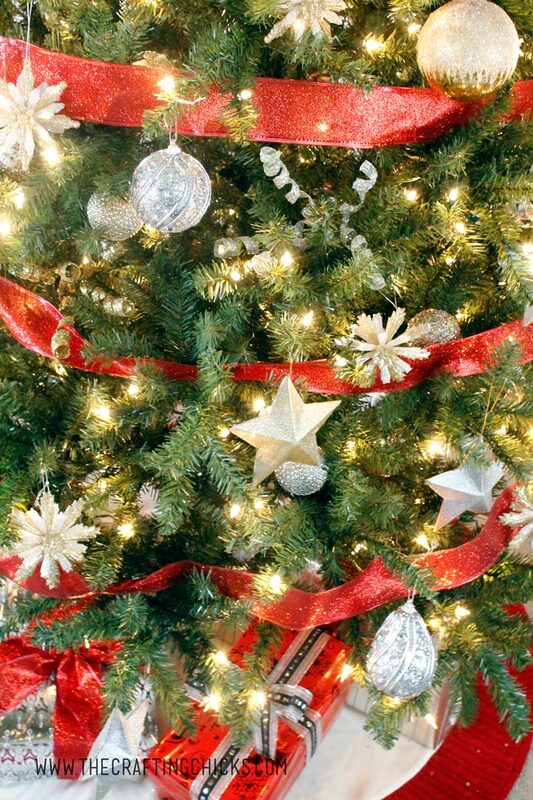 Make sure you visit Michaels’ blog, The Glue String, to see the other 49 Michaels Makers’ dream holiday trees that were created this year.